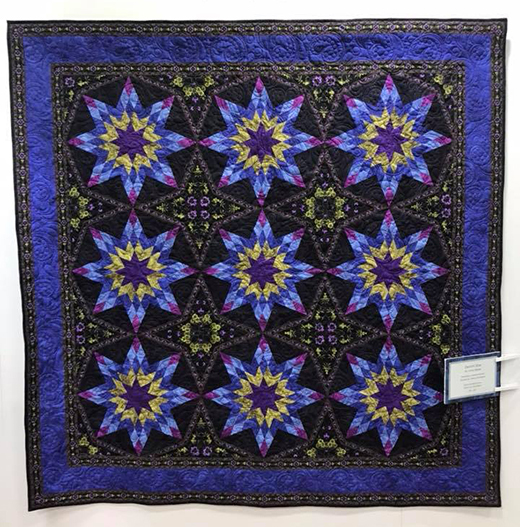 Denim Star quilt combines fabrics from the Denim collection along with florals from Midnight Garden. Bold eight-pointed stars are brought together with soft, fussy-cut border prints to create this eye-catching quilt. The Denim Star Quilt designed by Jinny Beyer, The Pattern is available for free.